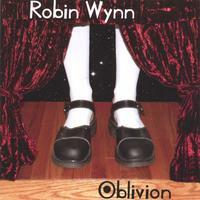 Robin Wynn’s music has a bit of an alt-country-ish twang on some songs (Goodbye Man). But it is mostly just poppy rock (not to be confused with poppycock, far from it). These songs are very user friendly as are Wynn’s vocals. She has a good strong voice; bluesy at times. It’s refreshing to hear someone stay in tune (been getting some weird stuff lately). I also like that her voice is not showy or overdone. It’s very comfortable, likeable, and pleasant. Opener “Bait” is quite radio friendly and sounds like old Tegan and Sara (before they got weird). Title track, “Oblivion” let’s Wynn rock out a bit and she does so with gusto. These songs are all very well written and performed. They are unique yet sound familiarly homey. Like you’ve heard them before. I can’t even think if another performer to compare to (to even give you an idea of what she is like). I guess that’s good!